Looking for a property in Mahabalipuram Road? Have a property in Mahabalipuram Road? Mahabalipuram Road area, Chennai is rated 9 out of 10 based on 1 user reviews. Have a good knowledge of Mahabalipuram Road? Share it and become a Locality expert. Newly constructed villa in omr rajiv gandhi road . 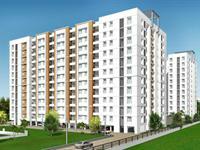 2bhk Apartment at Karapakkam with wholesome lifestyle.